Home > Others > Chevrolet Volt – Worth The Ticket Price? Chevrolet Volt – Worth The Ticket Price? Eco-friendly cars are becoming a more increasingly common sight and a welcomed one by many. But if you want to get one, which one should you choose? It is obvious that hybrids, electric cars and other green alternatives are here to stay. This means that the choices when it comes to an eco car are getting more and more diverse. 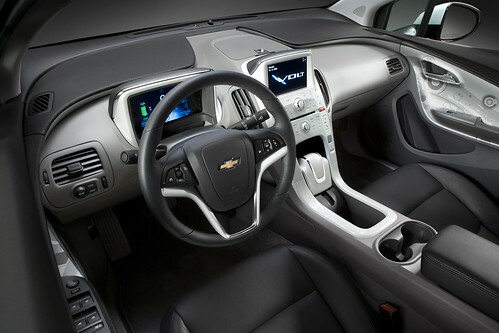 Let’s look at the Chevrolet Volt, one of the most popular and most efficient eco cars in the United States. Produced by General Motors, this car has been in production since 2010 and it has also been shipped overseas, although it is marketed as the Vauxhall Ampera in Europe and as the Holden Volt in New Zealand. The first thing that will confuse drivers is just exactly what kind of car it is. The average motorist would take a look at it and call the Volt a hybrid since it does have a gasoline engine and an electric motor. However, Chevrolet would take issue with that as they refer to it as an extended range electric vehicle. And they are right to do so. The Volt can be classified as an electric car since it uses the 150 horsepower electric motor to drive the wheels and the gas engine only comes into play when the electric motor is starting to run out of juice. Even so, with a powerful 16 kWh lithium-ion battery, you can expect the Volt to have a 35 mile range with the electric motor alone and this increases to 38 miles for the 2013 model. Once the battery nearly runs out, the Volt relies on a small 1.4 L 4-cylinder engine that puts out about 80 horsepower to get it around. Charging time is around 10 hours for a full charge using a normal 120V outlet found in any home. However, you can cut that time down by 60% if you purchase the filling station with the 240V charger. From a design perspective, the Volt looks good. It is stylish and it doesn’t scream eco car like others do. It is also filled with a lot of new tech that many drivers will enjoy. This includes a center stack, an LCD display, Bluetooth audio and a navigation system. Another great addition is the regenerative braking system that provides electricity to the on-board system. The model you select will determine if a lot of those gadgets and gizmos are present in the car. The low-end model starts at $40,000 but if you want all the bells and whistles, it will cost you around $50,000. And this is, really, the only true issue with the Volt: the price tag, which means it will also be a challange finding cheap full coverage auto insurance for it as well. If you are looking into buying one, you will undoubtedly compare it to other eco alternatives such as the Honda Fit EV or the Nissan Leaf. These are less expensive than the Volt so it has to be wondered if it is worth the money. Well, the truth is, as much as Chevrolet keeps insisting that this is an electric car, it doesn’t drive like one. It drives better. The switch between battery and gasoline power is done seamlessly and, if it were not for the silence of the engine, you could completely forger that you are driving a car with an electric motor. 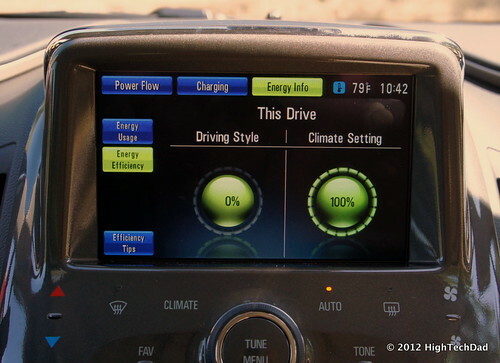 The Chevrolet Volt is a great eco car and it has the credentials to prove it. Right now the EPA rates the 2013 model as the most fuel-efficient gas engine car in the country, with a rating of 62 mpg. It has won numerous awards, including Green Car of the Year and North American Car of the Year in 2011 and European Car of the Year in 2012. Harlod Barlow enjoys exploring and writing about cutting edge technology, especially when it comes to advancements in automobiles.